Since 2008, gambist Romina Lischka, has played regularly with ensembles such as Collegium Vocale Gent, Ricercar Consort and Gli Angeli Genève. For this intimate recital she plays the three sonatas written by J.S. Bach for viol and obligato harpsichord with Swiss harpsichordist and organist Francis Jacob. Programme to include Sonatas in G-major BWV 1027, D-major BWV 1028 and in G-minor BWV 1029 for viol and harpsichord. Many of Johann Sebastian Bach’s sonatas demonstrate his interest in moving away from the dominant model of the sonata in the early eighteenth century, which relied on the practice of basso continuo. In the typical baroque sonata, the harpsichordist plays a bassline and extemporizes a chordal accompaniment to fill in the harmony. François Couperin’s Première pièce de viole follows this practice. Bach, however, often supplies the keyboardist with a bassline and a melodic part of equal importance to the other instrument(s), as he does in each of his three viola da gamba sonatas. The origins of this practice may have arisen at least partially from Bach’s tendency to rearrange prior music to suit his needs at a later date. Indeed, the Sonata BWV 1027 in G Major is an adaptation of a prior trio sonata for two flutes in the same key (BWV 1039), whose two flute parts Bach redistributed between the right hand of the harpsichord and the gamba. The surviving parts for the flute version suggest that the work was performed as part of the series of weekly concerts of the Leipzig Collegium Musicum, of which Bach was director from 1729-1737, and then again for a handful of years after 1739. The Collegium consisted of local professional musicians and University students who performed at a coffeehouse for the public. Members of this ensemble may well have performed the sonatas for viola da gamba at their weekly concerts, but it is unknown whether all three sonatas are arrangements or whether Bach composed the other two afresh. Regardless, scholars have come largely to agree that the sonatas in their current format hailed from sometime after 1739. If the treatment of the harpsichord part as a melodically independent player is forward-looking on Bach’s part, the selection of the viola da gamba as a solo instrument is the opposite. The gamba, so named for the fact that the player holds it between the legs, belongs to a family of string instruments known as the viols. Unlike the violin family, the viols all have frets like a lute and are tuned similarly, with six or seven strings in fourths and thirds upwards (for the gamba, D-G-C-E-A-D). There are several sizes of viols, and they were played in consorts in the early seventeenth century. As the century wore on, however, violins gradually won favor in ensemble settings, due to their louder and more penetrating sound. Even as viol consorts faded, the viola da gamba, the tenor or bass member of the viols (depending on whom you ask), survived as a solo instrument well into the eighteenth century and achieved great popularity among amateurs and professionals alike, especially in France. By the time Bach composed his sonatas, however, its popularity had begun to wane. The opening of BWV 1027 clarifies immediately that it was arranged, as the right hand of the harpsichord holds a very long note, far longer than the decay of the harpsichord would allow to be audible. A trill is the only way to extend the note so long. The affectionate first movement glides along, with dissonant suspended notes and generous use of grace notes that suggest close intimacy between the parts. A series of surprising chromatic twists lead to a half cadence at the end, where the ear expects more. A playful fugue follows, with the principal subject tossed around between the right hand of the harpsichord and gamba in imitation. Then, Bach turns the main subject upside down as the music sails toward a minor key area: it is a device of musical artifice that nevertheless sounds effortlessly natural. Bach is a master at generating new material from the original seeds of the composition. The third movement presents us with broken chords over a fairly stagnant bassline that works its way down in small chromatic steps, a classic way to project a sense of grief. This fairly short moment of seriousness however gives way to another movement rich with imitation between the harpsichord and gamba, this time in the cheerful dance rhythm of a bourrée, with its tell-tale upbeat into a fast duple meter (count and-a-ONE-and-Two-and-ONE…). The other sonata, BWV 1028 in D major, does not survive in Bach’s handwriting as does BWV 1027, but only in a copy made three years after his death. The opening movement shows the equality of the harpsichord and gamba parts, with the right hand and gamba in frequent imitation, passing similar melodic ideas back and forth throughout. The parts move in parallel motion much more in the second movement, a brisk and tightly constructed section in binary form, with two repeated sections. The third movement is a slow dance known as a siciliana, with its lilting rhythms in 12/8, and the final movement a sprightly confection in 6/8 where the melodic parts spend equal time moving in parallel motion and passing imitative lines back and forth. François Couperin (1668-1733), like Bach, made his contribution to the viola da gamba repertoire even as its popularity waned. His pièces de violes (1728) consist of two works, one more in the French style (the first suite, presented on this program), and another more Italianate one. It may be that he meant the pieces as a sort of tribute to the recently deceased master French gambist Marin Marais (1656-1728). The piece follows a very typical layout for the suite, with the dances ordered allemande-courante-sarabande-gavotte-gigue. It concludes with a movement interestingly titled “passacaille ou chaconne”, two closely related dances that are difficult to differentiate, as Couperin’s title suggests. Both dances commonly consist of a set of variations over a repeating 4- or 8-bar bassline or chain of chords, creating a mesmerizing cyclical effect. While the suite is in E minor, this concluding dance is in E major. Romina Lischka was born in 1982 in Vienna, Austria. She began her musical studies playing the guitar at the age of seven, turning to the viol six years later. She continued studying the two instruments in various music academies in Vienna, pursuing her guitar studies with Walter Würdinger at the Universität für Musik Wien from 1999 until 2002. Her interest in early music brought her to the Schola Cantorum in Basel, Switzeland, where she studied viola da gamba with Paolo Pandolfo. She received her soloist’s diploma with distinction in 2006. Romina then continued her studies with Philippe Pierlot at the Royal Conservatory in Brussels, completing her master’s degree with distinction in 2008. In addition, she participated in masterclasses with Wieland Kuijken, Jordi Savall and Sophie Watillon, as well as the summer academy in Ambronay, France, under the direction of Christophe Rousset. Since 2008, she has developed her activities as a concert artist, playing with such ensembles as Collegium Vocale Gent (Philippe Herreweghe), Ricercar Consort (Philippe Pierlot), Les Flamboyants (Michael Form), Gli Angeli Genève, Barokksolistene, Il Gardellino, MCO, Le Jardin Secret, B’Rock, Vlaamse Opera, Zefiro Torna, Roza Enflores and performing in the festivals of Midi Minimes, Early Music Festival York, BOZAR, AMUZ, de Dag van de Oude Muziek, Brighton Early Music Festival, Festival de la Roque d’Anthéron, Züricher Tonhalle, Kongress Innsbruck, Festival de Labeaume, Teatro Malibran, Concertgebouw Amsterdam, Lincoln Center NY, Festival d‘Aix en Provence, Folle Journée in Nantes and Tokyo. In 2012, Romina created the “Hathor Consort,” which is dedicated to the exploration of the consort repertoire from the Renaissance to the Baroque. Francis Jacob studied organ and harpsichord with Sylvain Ciaravolo, André Stricker, Aline Zilberajch, Martin Gester (Strasbourg), Jean Boyer (Lyon), Jan-Willem Jansen (Toulouse), and Jesper Christensen (Basel). He was winner of several organ competitions including the Guilmant competition in Boulogne-sur-Mer, 1987, and the international organ competition of Bruges, Belgium, 1997. 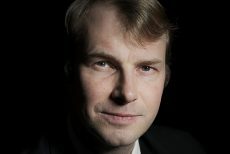 He has performed all over Europe as a solo performer as well as in ensembles including the Ricercar Consort, Le Concert Royal, Eloquentia, and others. He taught organ and harpsichord in the conservatoires of Perpignan, Toulouse and Montauban since 2001. He has taught organ in the Conservatoire of Strasbourg. He is the organist of Saessolsheim, Alsace, performing on an instrument built by Bernard Aubertin. Along with the local organ association, he has established an important musical life around this impressive organ with a programme of concerts, masterclasses and CDs. Francis Jacob has recorded CDs of 17th, 18th, and 19th century works on various Aubertin organs in France. His recording of the Clavierübung III of J. S. Bach on the organ in Saint-Louis-en-l’Isle in Paris was especially highly acclaimed by both audiences and the press. He maintains a lively interest in harpsichord and organ building, which he practices with Bernard Aubertin.